At the start of the Nineties Juan Rodríguez and Florent Muñoz both attend the University of Granada. They decide to form the group Los Subterráneos in tribute to their favorite band The Velvet Underground. In 1992 they release a demo-cassette featuring the compositions ‘Mi hermana pequeña’, ‘El centro del cerebro’ and ‘ La caja del diablo y Espiral’. They are asked by singer/songwriter Christina Rosevinge to become their backing band thus becoming Christina y Los Subterráneos. 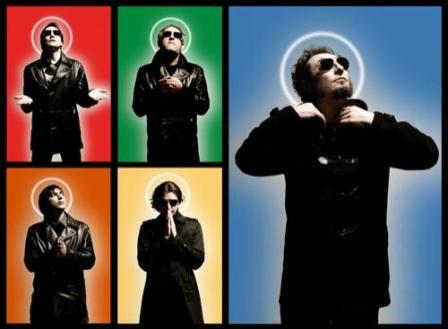 With her they release two album ‘Que me parta un rayo’ (1992) and ‘Mi pequeño animal’ (1994). 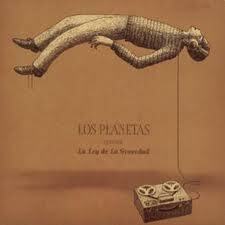 When Christina leaves to New York to persue a solo career the band changes it’s name to Los Planetas. Under that name they enter a competition from Radio 3 searching for indie-bands. 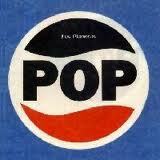 Eventually this results in their first hit ‘Qué puedo hacer’ (What can I do?) in 1993. The single gets them signed to BMG who releases their first album ‘Super 8’ produced by Fino Oyonarte (from Madrilean group Los Enemigos). 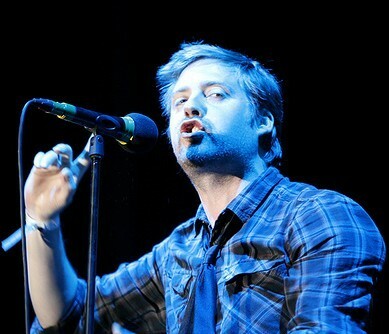 Singles ‘De viaje’ (later covered by Fangoria) and ‘Brigitte’ (a tribute to Ian Curtis) confirm their succes. For recording the second album ‘Pop’, the group goes to the producer Kurt Ralske (leader of the New York band Ultra Vivid Scene ). But it is their third album ‘Una semana en el motor de un autobús’ (A week in the engine of a bus), again produced by Ralske, that means their breakthrough to the mainstream elected by Rockdelux as best album of the year. The success also brings migrations in the line up off the band. 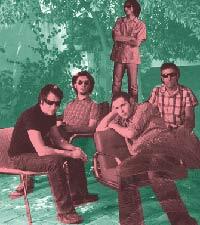 Due to auditions the band releases a compilation in 1999 called ‘Canciones para una orquesta química’ (Songs for a chemical orchestra). In the new line up the band teams up with producer Carlos Hernandez For three albums he leads Los Planetas into a whole new musical spectrum. 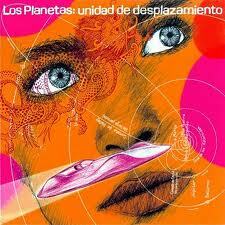 The first is "Unidad de desplazamiento" (2000) and contained one of Los Planetas' best received and most memorable songs, "Un buen día.". 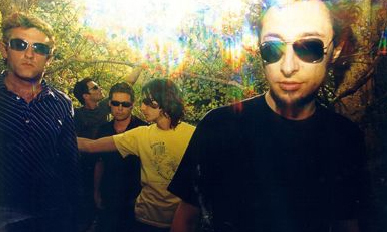 their next two albums, "Encuentros con entidades" (Encounters with entities, 2002) and "Los Planetas contra la ley la gravedad" (Los Planetas against the law of gravity, 2004), were generally less well-received than their predecessors, but would still be commonly found at or near the top of most critics' end-of-year lists. This calls for another time out with a compilation ‘Pincipios básicos de astronomía’ as a result. The compilation consists of a CD, DVD and comic book in which the artist and illustrator Juanjo Sáez envisions 22 tracks. 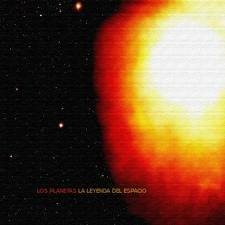 For their 2007 album ‘La leyenda del espacio’ the band starts incorporation elements of flamenco music. An influence still shown on their latest album 'Una ópera egipcia' (2010). DB: Like so many groups at the start of the Nineties grunge was the genre to play with. 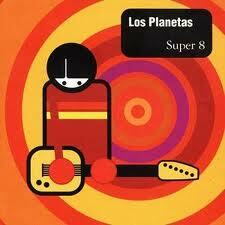 Los Planetas gave it a Spanish swing that slowly evolved into a more unique signature sound in later years. Their debut album is still highly rated by Spain's generation X out of sentimental value but from 'La leyenda del espacio' things get less guitar driven and more artistically interesting.